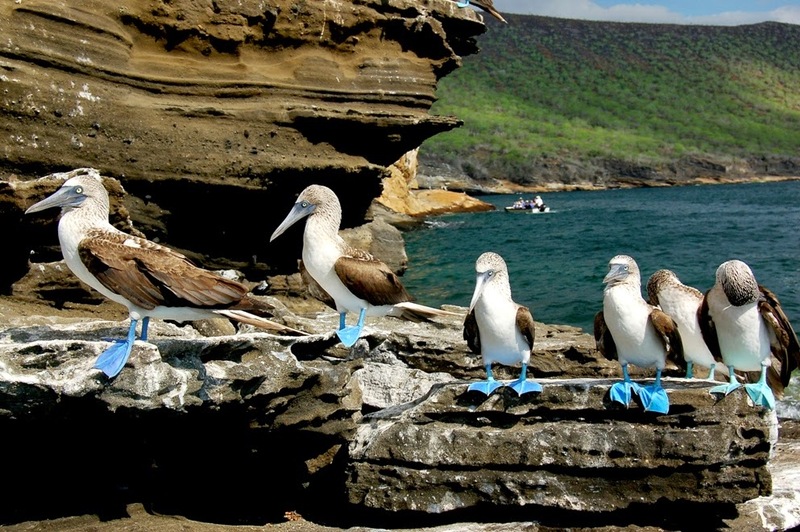 That’s why it is vitally important that the Galapagos Blue Footed Boobie population remain stable and viable. The last thing in the world we want is for this species to become rare or endangered. Toward this end, a three-year comprehensive study of the Blue Footed Boobie in Galapagos was undertaken by Dr. David Anderson of Wake Forest University. The study was completed in April 2014. 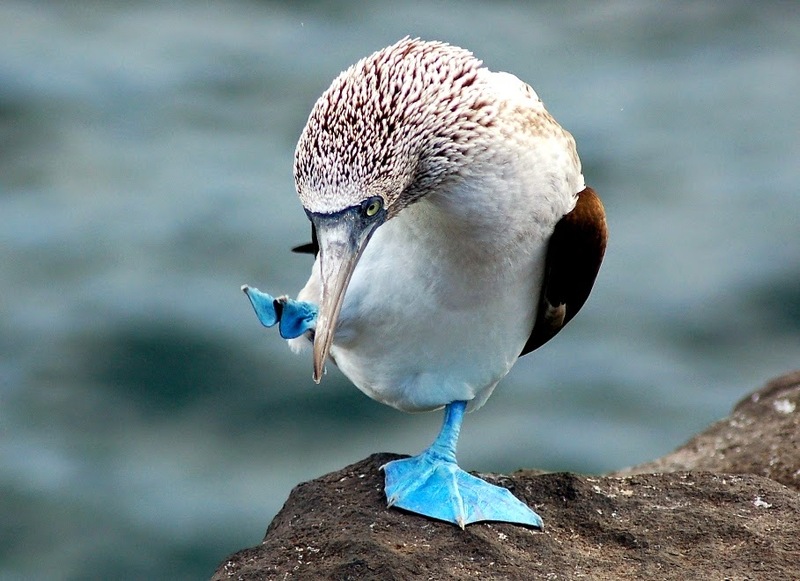 Sadly, the ultimate findings confirmed the worst fears: the Blue Footed Boobie population is indeed declining. It seems too that the existing adult population is breeding at a slower rate. This means fewer babies, not enough to compensate for adult mortality. To be honest, the overall situation is not much different from what the human population is experiencing on a global basis. What is different is that until more work is done, we are unable to predict whether the Boobie population is on a temporary or permanent road to extinction. What prompted the study were empirical observations that led to concern of population decline. It looked to observers that traditional breeding sites were being used by fewer representatives and that some sites had even been abandoned. In fact, there had once been a colony of hundreds of nests on Espanola, but the site has been essentially unused for almost 20 years, since 1997. Because of these observations, the Galapagos Conservancy and others began the much-needed survey in May 2011. “Until 1997, there were literally thousands of boobies at these breeding sites, and hundreds of nests full of hatching chicks," according to the study leader and author Dave Anderson, a professor of biology at Wake Forest University. 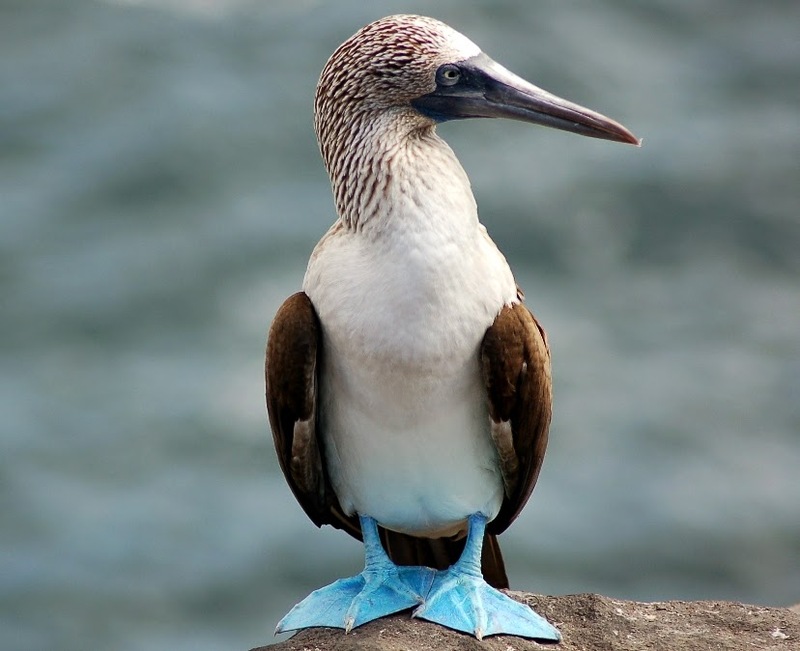 From the outset, the project, which involved a survey of the entire Galapagos coastline except for the Northern-most islands which Boobies have never populated, affirmed the concerns. Only two juvenile birds were seen in the survey area. This initial observation was an indication that something serious and profound was changing. After the first survey, surveys were conducted every four months for three years. The results gave great cause for concern. The research team found only about 6,423 boobies living in the Galápagos in 2012, which was less than a third of the estimated number in the 1960s. In fact, only 134 fledgling birds were found in an area that less than 20 years ago would have held hundreds or even thousands of nests. Simply put: breeding is not occurring in adequate numbers to sustain the Blue Footed Boobie population. Finding the source of the failure to breed was essential. 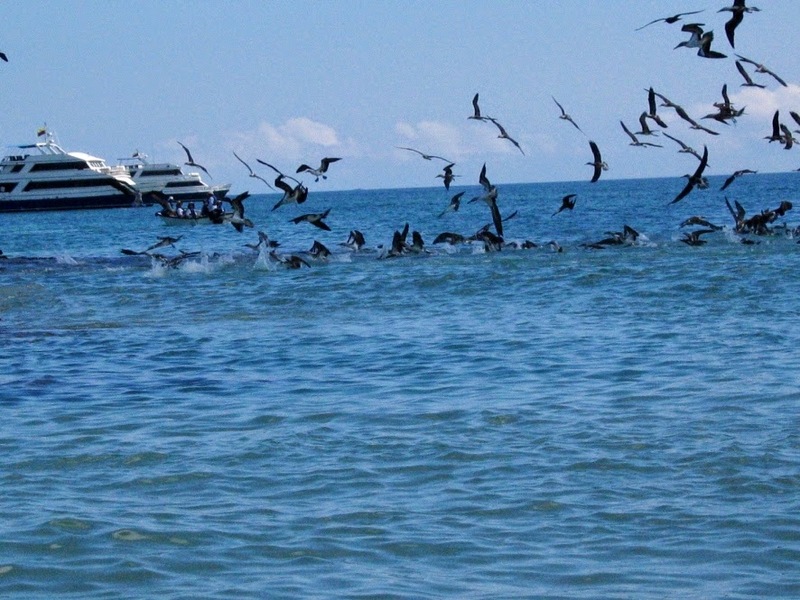 Ultimately, the study concluded that the Boobies’ primary food source – sardines - is greatly reduced in numbers, not only in Galapagos but throughout the Eastern Pacific Ocean. This is apparently from natural causes, though no one knows for sure. What is known is that through natural survival tactics, the Boobies are slowing down procreation so there is enough food to go around. Also supporting this conclusion is the fact that since 1997, sardines have been essentially absent from Espanola – a fact that corresponds to the reduction in the number of Boobies in the traditional breeding site. The existing boobies have supplemented their diet with other small fish, but it appears that without the adequate number of sardines, they will not or cannot breed in sufficient numbers. Why exactly the number of sardines has been reduced also has to be studied. Monitoring is going to continue to help assess whether this is a long-term or temporary state of affairs. You can read the scientific report in the online publication Avian Conservation and Ecology. How someone can be cold to such cute creatures! Personally, I did the research Kibin review for the programs that save animals from extinction. I hope everyne will think about this problem and help these fluffy balls to survive.